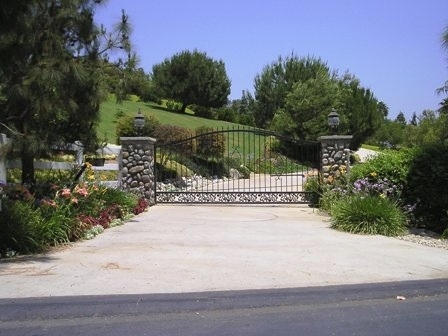 An automated entrance or access gate is a great way to add beauty and security to your home or business. 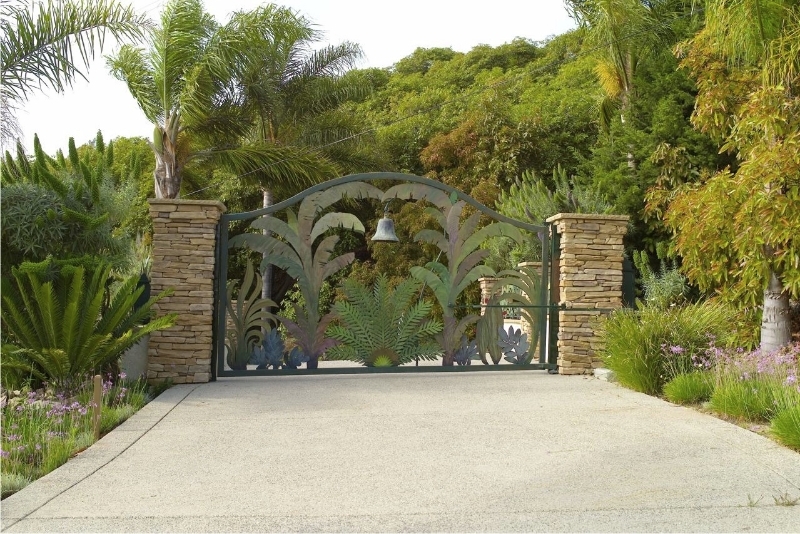 And, a customized entrance gate design adds a unique touch that truly reflects your style. Make the first thing visitors see a strong and lasting image with. Whether it’s your family crest, a favorite image, your business logo or something you’ve doodled on a napkin, Quality Fence Company can turn your visions into reality. 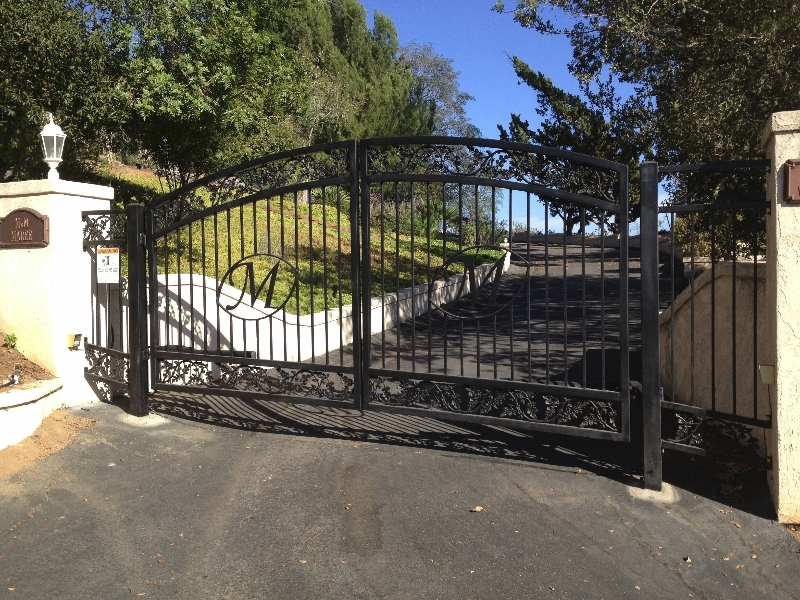 Our in-house design and fabrication departments, built at our facility allow us to easily customize your automated entrance gate design to fit your unique style. 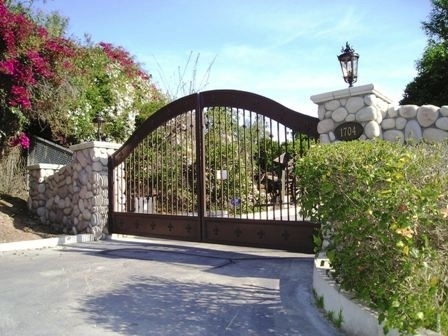 All our gates are built with heavy duty pre-galvanized steel for many years of trouble free operation and lasting beauty. You will see our experience and expertise in the finish details and product durability. 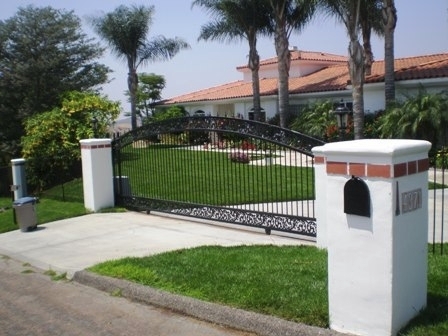 With Quality Fence Company there are no pre-fabricated or packaged solutions. 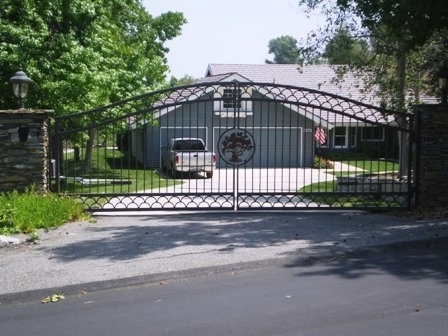 Your gate is always custom built and carefully installed to fit your exact needs. Access control systems encompasses the entire process of keeping unwanted guests from your property. 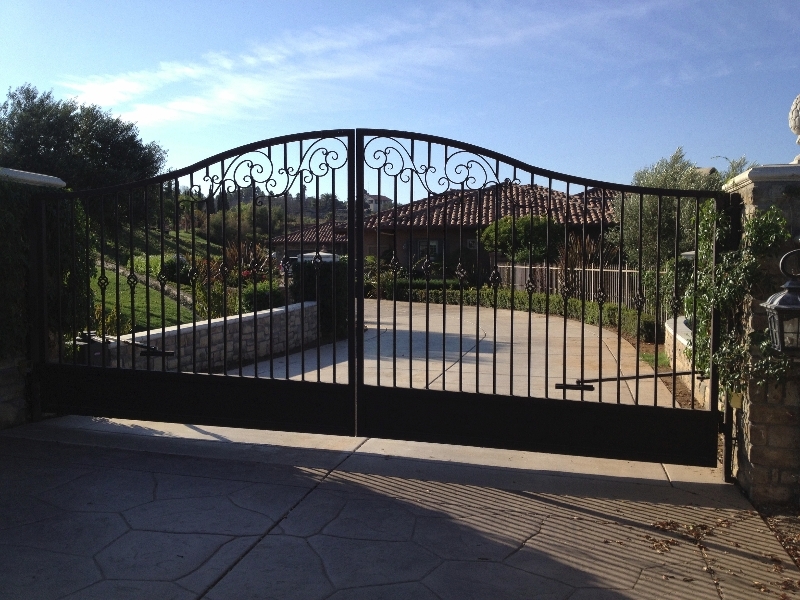 An integral part of any access control system is the gate. 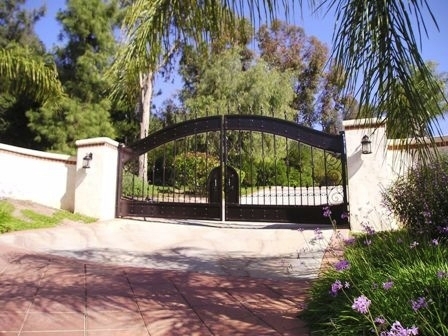 Gates can be either swing or sliding styles. Either of these can be motorized with many options to gain entry and exit. The type of operator you need will depend on the type, size, and intended use of the gate. Access into areas can be obtained through the use of various devices that can tailor to your specific needs. Keypads, for example, allow any person with the correct code to gain entry, while card readers require that the individual possess a valid card for entry. Other options are, Telephone Entry Systems and Intercoms also available and each solution is custom tailored to your situation and needs. No situation is equal to another. Access control systems are custom designed for each customer. We take into account each unique situation and the degree of security required to offer the best possible solution. 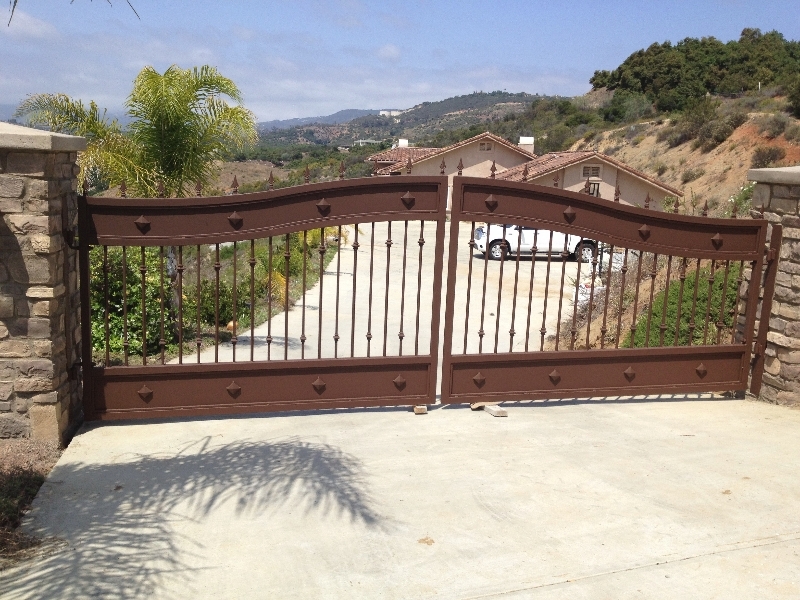 Quality Fence Company services all makes and models of Gate Operators, Electronics. Always remember everything needs maintenance. We recommend 1 service per year. Please send us an email, call 760.723.2911 or fill out our request a quote form to receive your FREE estimate. "Quality Fence just installed a black vinyl chain link fence on our property. This is the second job they have done for us. I am happy to report that they did a great job and were a pleasure to work with. The fence has very smooth curves and radius's and they really did a good job following the contours of the land without the top of the fence having undulations."